Bollywood Desk: Cine-savvy Pankaj Tripathi will be known by the name. 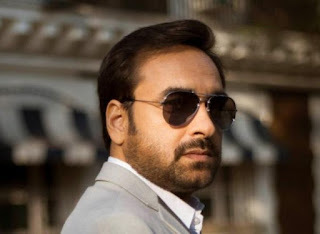 Pankaj Tripathi has become very popular with hits such as 'Gangs of Wasseypur', 'Newton', 'Bareli Ki Barfi', 'Hari' and successful websites like 'Sacred Games' and 'Mirzapur'. Now the latest news is that Pankaj Bhai is going to hit Hollywood. In the 'Marvel' superhero series in Hollywood, he will be seen acting with actor Chris Hemsworth, who is playing the role of 'Thor'. Right now, Chris Hammersworth is currently shooting the original video streaming site 'Netflix' original movie 'Dhaka'. The shooting schedule will begin in Bangkok in the next few days. There are reports about linking Pankaj Tripathi. It is worth mentioning that Chris Hemsworth has been in India for the shooting of Netflix's original film 'Dhaka' in the last year of November. Some scenes of this movie were shot in Mumbai and Ahmedabad. Indian artists like Manoj Bajpai and Randeep Hooda will also be seen in the film, who is the kidnapper and sabotage of an Indian businessman's son. The film is about to be completed in March 2019. 0 Response to "Pankaj Tripathi's Hollywood entry, Netflix will appear in the movie"